We design a print a lot of car magnets for the schools in the Brentwood Union Free School District, and Oak Park is one of those. There are 19 primary and secondary schools in the Brentwood Union School District, and we design and print car magnets for 7 of those schools. Oak Park Elementary wanted us to design a magnet to use to acknowledge their best and brightest students. They already had a Student of the Month program in place, so instead of reinventing the wheel we built on that existing foundation. Most schools in the Brentwood Union School District use a variation of their “B” logo. 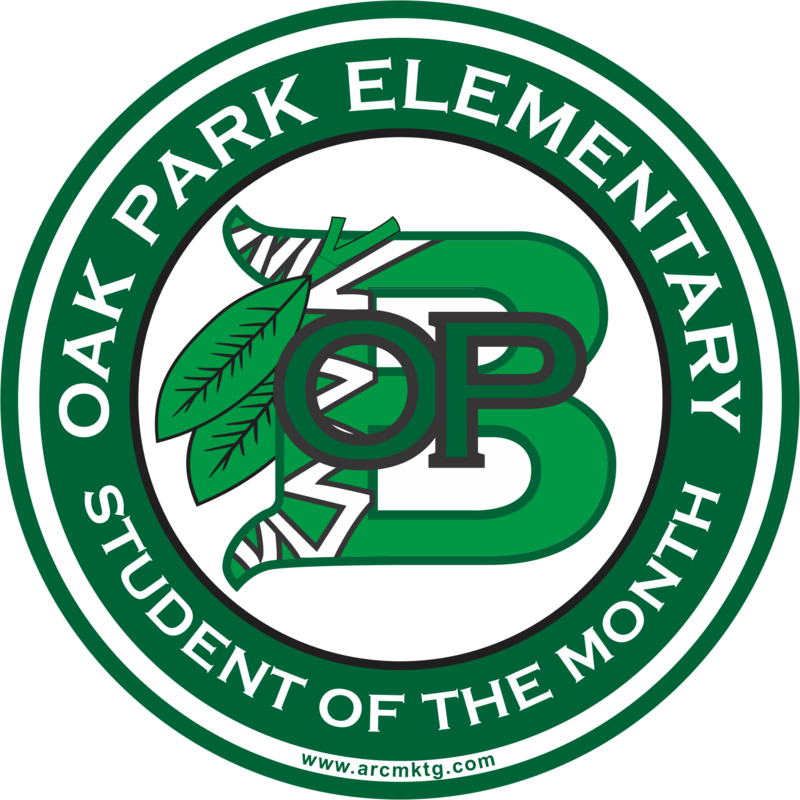 Oak Park’s variation places a bold “OP” over the B logo. Since we use the most advanced ultra-violet resistant inks, the colors are bright, bold and vibrant. These inks will not fade, so this magnet will look awesome for years. Also, since there is a steady turnover of students (new kindergarten students coming in while the older students are moving on to middle school), this is a fundraising program that can continue forever. This means that every year, the school and their PTA can raise thousands of dollars.